Welcome to Orlando Fishing Guide.com. Come enjoy the real Florida. The Kissimmee Chain of Lakes is the headwaters to the everglades. We specialize in artificial and live bait fishing for trophy Largemouth Bass in the Orlando, Kissimmee, and Disney area. 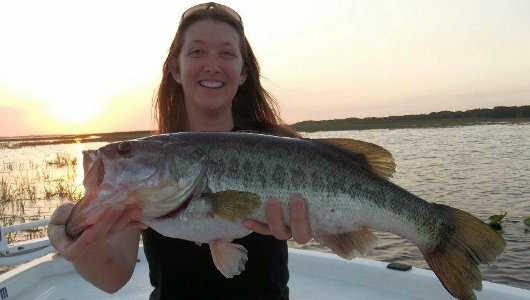 If record Largemouth Bass is what you are looking for, then West Lake Toho and the professional fishing guides of Orlando Fishing Guide service will be your best chance of catching that Largemouth Bass of a lifetime in Orlando. Come fish the Orlando Florida Lake that produced the B.A.S.S. all-time tournament record catch. 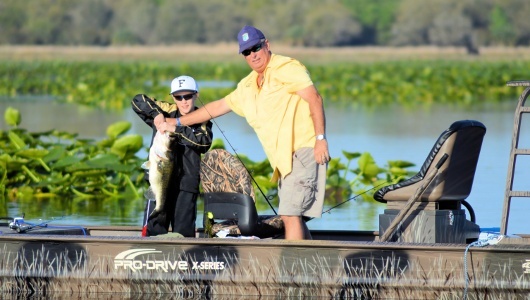 Our professional guides specialize in artificial and live bait fishing for the famed Florida Largemouth Bass. 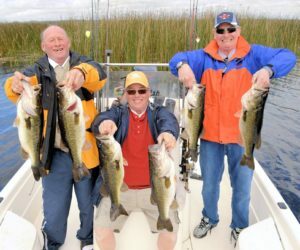 Don’t let your trip to Central Florida or to Disney World go without a professional guided fishing trip aboard one of our state of the art modern professional bass boats or bay boats, on the beautiful Kissimmee Chain of Lakes that include big name lakes such as West Lake Toho, Lake Cypress and the well-known Lake Kissimmee. Orlando fishing guide is head-quartered in St. Cloud, Florida within minutes of Disney, Universal Studios, the Orange County Convention Center and the famous International Drive in Orlando, Florida. We are in the business of guiding, not just to pre-fish our next tournament, but to provide the fishing experience of a lifetime. Our guides know the waters of Orlando, Florida like no other, artificial or live bait. They are the fishermen of Orlando Fishing Guide.com. Give us a call and we will arrange your Orlando trip of a lifetime! The bass spawn is finishing up. We have been catching bass up to 6 lbs. Sooner or later the big females will fall for a live wild shiner on a hook. 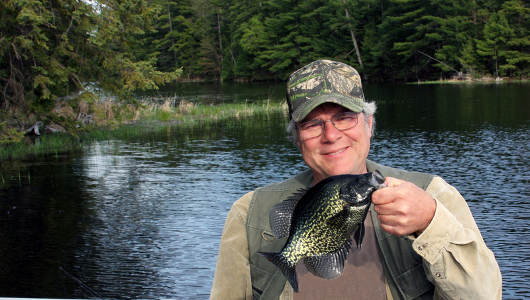 Also, the Crappie spawn is over. The Redear sun fish are coming to spawn in the spatterdock lilly pads. They spend the majority of the time in the year in open water. Bait of choice is fly rod with poppers. Also crickets are a sure bet.We are located 30 minutes from Walt Disney World and Attractions. 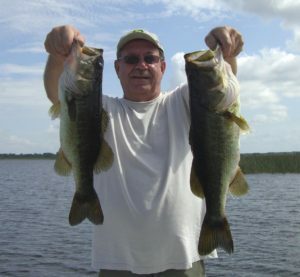 The Kissimmee Chain of Lakes is considered to be one of the top fishing destinations in North America.